To say that poverty induced by socialist dictatorships is hard to shake would be an understatement. Ask Cubans and now Venezuelans what is like to live in the workers’ paradise that Fidel forced upon his people while he stashed away billions he has stolen with his cronies. The socialist dictator Hugo Chavez left behind billions in personal bank accounts while Venezuelans struggle to survive under his socialist successor Maduro, who mismanaged the economy just as badly. One of the nations with the richest oil supplies cannot feed its people and provide basic goods that Americans take for granted, bread, milk, butter, diapers, detergent, just to name a few, and must spend hours each day in endless lines to find what they need if they are lucky. Most people are confused about poverty and each person and economists define it differently. People, who desire socialism and are voting for either Bernie the borderline Marxist or Hillary the Socialist, complain endlessly how unjust and rigged the system is, how the Man keeps them down and there is no equality and social justice. Nobody seems to have any idea about personal responsibility and work ethic. When compared to most countries in the world, American “poverty” is a bonanza from heaven paid for by government largesse with taxpayers’ money. This government largesse will eventually come to an end when it runs out of other people’s money and it can no longer print trillions once hyperinflation sets in. 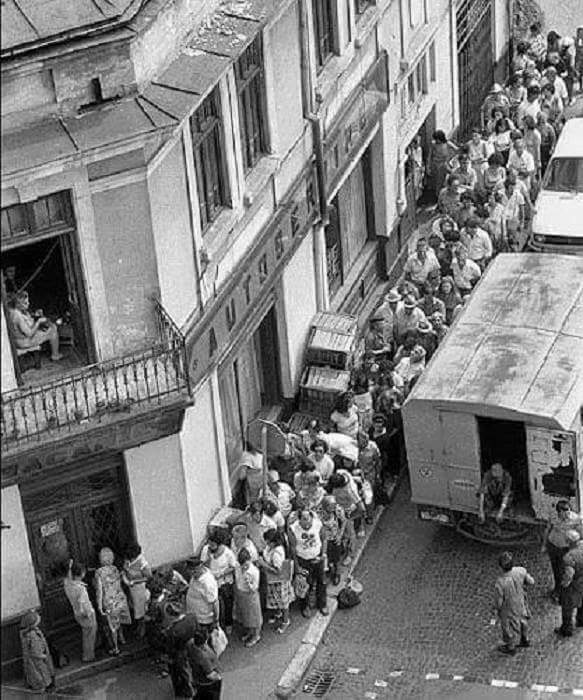 According to many Romanians, including hundreds of thousands of poor gypsies who refuse to integrate into normal society and change their lives, Romanians are the citizens impoverished by the communist party and their Securitate successors after the revolution of 1989 when communism ended officially on paper. Twenty-seven years later, not much has changed for most rural populations. 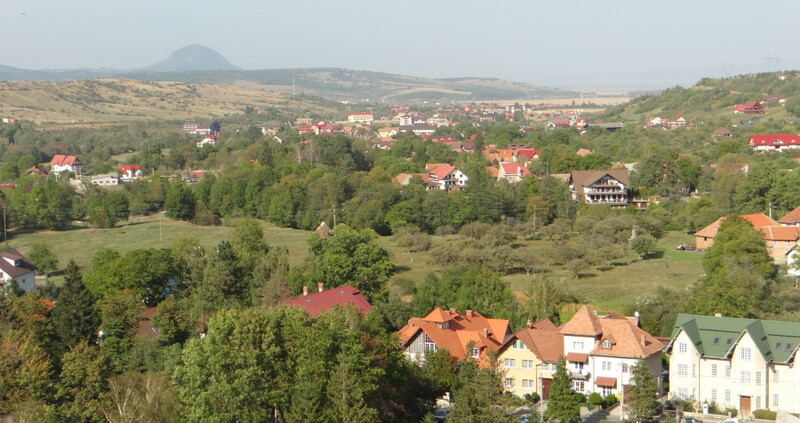 The online news expunere.com reported that fifty percent of Romanians are very poor and 54 percent of rural inhabitants do not have an occupation. Most children raised in rural areas have one family member working or the family depends entirely on social welfare. According to this source, 72 percent of rural families cannot provide their five-year olds a minimum acceptable diet, resulting in malnutrition and disease – 225,000 children go to bed hungry. The standard of living, while vastly improved for people in most large cities, remained the same in the suburbs and rural areas where no significant progress in terms of infrastructure has been made. People live and die trudging through deep ruts in the mud of mostly unpaved roads, carrying water from the village well because nobody has running water or sewer pipes. Outhouses dot the landscape. In a comment to the poverty news, Silvia Cristescu stated that “all corrupt individuals who fall under the investigation of the National Directorate of Anti-Corruption (Directia Nationala Anticoruptie or DNA) were members of the former Romanian Communist Party and their heirs. All who defrauded the country, she said, are pro-Russian communists and their children. The more than four million Romanian citizens she believes, who left the country for greener pastures of economic opportunity and freedom, understood perfectly who robbed the country blind. A large percentage of this diaspora voted anti-Ponta, anti-PSD (Social Democrat Party), and anti-socialism. “The enemy of the country is socialism, Marxist atheism of KGB origins,” said Cristescu. In her view, those who sold the national forests, the land, the factories, and other items in the patrimony of the country, were the same individuals who rejected serious foreign investors under the pretext that they were not “selling the country” but sold everything they could in secret. After all, they knew all the ropes and judges, and, without accountability and fear of the law, pocketed the money, enriching themselves beyond belief. When honest Romanians tried to replace these former Securitate members who were running for office or incumbents, their votes were stolen by those who were bribed to vote favorably or, not unlike here, mysterious boxes were discovered with hundreds of thousands of votes for the presidential candidate the people did not want. The Russian KGB influence was so strong in Romania that overturning the disaster of socialism is still a daily battle that takes place today. Socialism will eventually die with the older people who grew up under the mentality of socialist dependency. However, young people who have no experience, no historical knowledge or recollection of how bad it was under a socialist dictatorship, are lured today into the promise and blind belief that socialism is egalitarian and socially just, the same leitmotif running through the strident and eager-for-their-own-demise collegiate voting crowd, the very ignorant millennials. Some Romanians take comfort in the fact that Christian America is on their side, that there is now a strategically placed American military base around Constanta, and that socialism will collapse in Romania. Unfortunately, there are many NGOs at work on the ground in Romania that interfere in its politics with loads of cash and grants that are hard to resist, given the stressed economic situation there. This entry was posted in socialism and tagged corruption, functionally illiterate, infrastructure, KGB, mud ruts, politicians, poverty, Romania, running water, sewer, socialism, standard of living, voting by Admin. Bookmark the permalink. I have often understood that no one really supports communism (which is not merely socialism, but government ownership of almost everything) anymore.